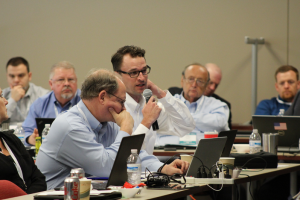 The Motorist Assurance Program (MAP) held its spring Technical Committee meeting May 25-26 at the DePaul University O’Hare Campus in Chicago. The main purpose of MAP’s Technical Committee meetings is to provide Automotive Maintenance and Repair Association (AMRA) members and their guests with technical information affecting the automotive maintenance and repair market today ­– and in the near future. More than 70 automotive repair industry experts attended the two-day meeting and dinner reception. The meeting’s agenda centered on the technological advances, service issues and service customer concerns surrounding Gasoline Direct Injection (GDI) engines. 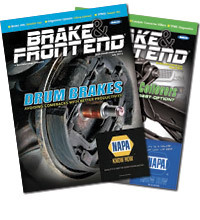 After multiple presentations on GDI engine technology and service issues, a panel of subject matter experts took questions from automotive maintenance and repair shop operators. Questions primarily focused around new GDI diagnostic and repair procedures, with a focus on maintenance products and procedures designed to help motorists avoid costly engine teardown repairs to remove the carbon buildup plaguing GDI engines. The agenda also included presentations and discussions on electronic vehicle safety systems, diesel exhaust fluid, tire service concerns and odors in the vehicle’s cabin caused by microbial growth. The next MAP Technical Committee meeting will be held Aug. 30-31 in the Chicago area. Meeting details and a draft agenda will be available soon, and can be found on the association’s calendar page at amra.org.